Black Mage has access to 137 licenses and 14 optional licenses through the unlocking of Espers and Quickenings. Their primary weapon is the stave and their primary armor is mystic armor. Five hand-bombs and six pieces of heavy armor can also be unlocked. 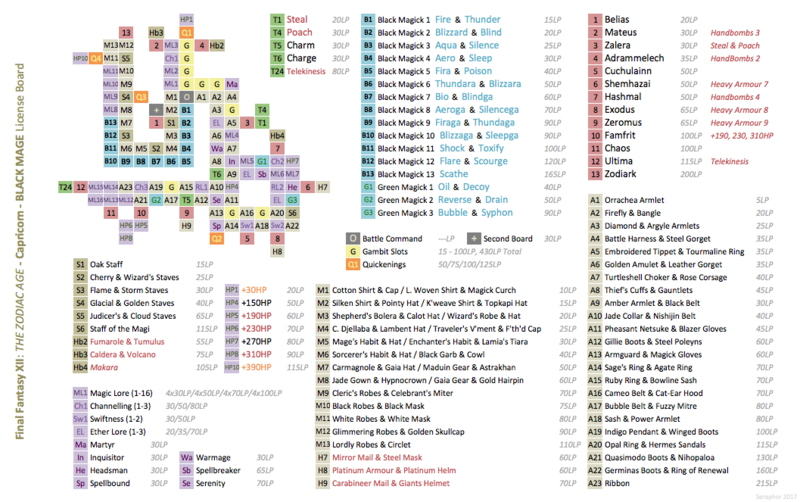 They have access to 25 black magicks, six green magicks, and five Technicks (three of which must be unlocked). Black Mage has access to two instances of Swiftness.